On November 9 starting at nine o'clock, in the Italian Institute for Philosophical Studies in Naples (Palazzo Serra di Cassano), the first General Assembly for the Mediterranean Macroregion will be held. Many speakers will take part in the works, illustrating the different themes of reference that will constitute the basis for a strategic project aimed at the development of the Mediterranean Macroregion. The themes that will be treated will concern: The territorial context, infrastructures, services, institutional aspects, environment, culture, health of peoples and citizens. A new stage has been reached in the progress towards the constituent assembly and the operational start of the Mediterranean Macroregion, an innovative form of participatory democracy, scheduled for November 9 and 10 at the Institute of Philosophical Studies in Naples. 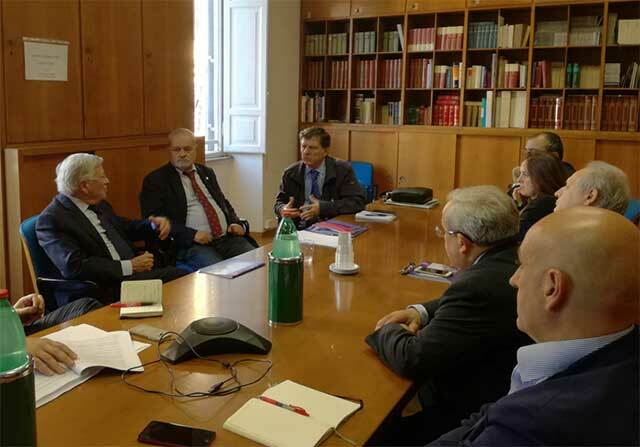 A meeting was held at the headquarters of the Italian Railway Administrative College (CAFI) in Rome for the launch of the new European driving instrument for the affirmation of the most 'shareable and desirable objectives of territorial cohesion aimed at supporting, promoting and accompanying programs and projects for the development and reduction of disparities' between territories and citizens. The meeting was attended by Giovanni Sacca', head of the Studies Department of CAFI, Paolo Pantani, director of Civicrazia, an expression of the healthy and committed civil society, and coordinator of the promoting committee of the Central Western Mediterranean Macroregion, Gianpaolo Basile, collaborator of Europarliamentary Andrea Cozzolino, Cristina Florenzano, delegate of the Basilicata Region, Stanislao Napolano, member of the promoting committee and journalists Carmelo Cutuli and Nicola Rivieccio. "The Macroregion - promoters have emphasized - represents the chance to seize the historical opportunity. At a time when the European Union is experiencing a moment of great democratic uncertainty, the great opportunity of Macro-regional policies has arisen. Four of them are already operating (the Baltic, the Danube, the Ionian-Adriatic and the Alpine). They were created to encourage countries to commit themselves with their own funds. The new macro-regional participatory body is therefore at this time the most advanced instrument of the European Union with which to fill the democratic gap in a Europe now at the mercy of multinationals." "This model represents the real paradigm shift, the possibility of governance entrusted to a process that starts from the bottom - explains Paolo Pantani, first director of the Civicrazia Association for the defence of citizens' rights, with the specific mandate for macro-regional policies and the launch of the 5th European macro-region, of the central-western Mediterranean and coordinator of the Naples Forum for the M.M.C.O, MEDITERRANEAN MACREGION CENTER WESTERN CENTER planned for 9 and 10 November 2018. 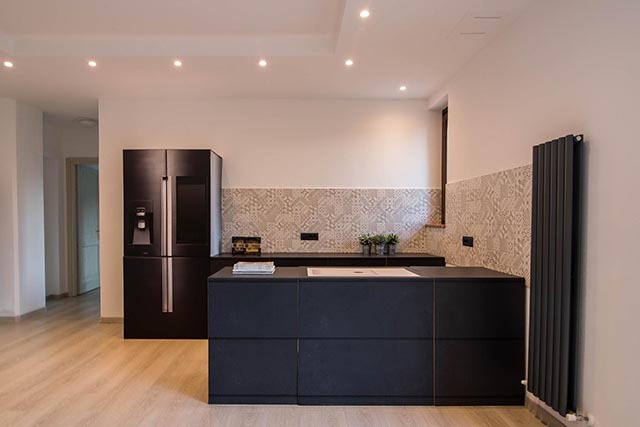 The Head Office of the Central Western Mediterranean Macroregion is Naples and the operational representative office is in Palazzo Francesco Berio in Via Toledo 256. The National Association of Young Innovators - ANGI is proud to announce a new and important strategic partnership with John Cabot University, the largest American university in Italy, an example of excellence and professionalism with a profile of the highest international level of both the faculty and its students. The National Association of Young Innovators - ANGI, is the first national non-profit organization entirely dedicated to the world of innovation, in each of its forms. With the support of the Culture Commission of the European Parliament and some of the most important Italian institutions, ANGI pursues its mission to be a reference point for innovation, developing it in all its forms. 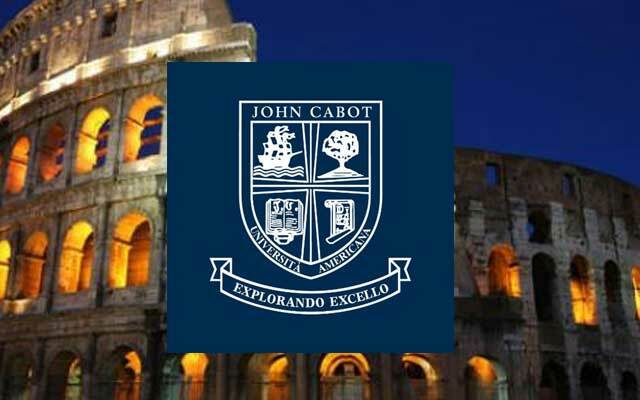 John Cabot University is the largest American university in Italy. It stands out for its academic excellence and the international nature of its teaching staff and students, half of whom are American. The JCU combines a pragmatic approach to theoretical study and favors a close relationship with the world of work, paying great attention to career opportunities for students who choose to start a career after graduation instead of continuing their studies. Founded in 1972, it borrows its name from the Italian explorer Giovanni Caboto, better known as John Cabot. The university has three campuses in the centre of Rome, the Frank J. Guarini Campus, the Tiber Campus and the Caroline Critelli Guarini Campus. "This important new partnership allows the Association to work alongside one of the largest international universities in Italy, with a very important institutional profile and a level of professionalism and competence that make it a reason for example and pride for Italy. Our work alongside the academic world is of primary importance, as well as relations with the Ministry of Education, in order to support young people, their training and the development of their professional growth profile and curriculum. - Gabriele Ferrieri, president of ANGI, adds: "The ability to innovate and be a source of talent for us is the goal of our program in which schools and universities are our main interlocutors. This collaboration will allow ANGI to further increase its university network but above all to give a further international dimension to its activities for the young and the new generations". Franco Pavoncello, President of John Cabot University comments: "John Cabot, which works in the American tradition of liberal arts, places great emphasis on innovation as an expression of human creativity and talent; therefore we consider it strategically important to prepare our students to face the world with a critical spirit, originality and generosity. The collaboration with ANGI will be important to open new horizons for our students". 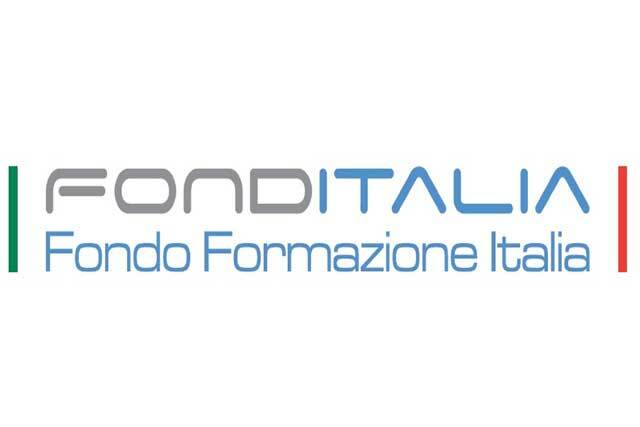 A round table entitled "Opportunities and resources for safety in the workplace", promoted by FondItalia in collaboration with its Technical Assistance Body FormaSicuro - Organismo Paritetico, will be held on 25 October at 10.30 a.m., in the context of ExpoTraining in FieraMilano, in Room "Orange" 2. Promoted by ALA - Assoarchitetti and Regione Veneto, the Dedalo Minosse biennial prize, is currently in its tenth edition, traveling through Italy and all over the world, reaching different locations - in the two years - exporting the best of Italian architecture and trends to various European countries, to North and South America, Asia and Oceania. This traveling exhibition is a summary of the main exhibition held in Vicenza and travels the world, touching several stages for two years, thanks to agreements between ALA Assoarchitetti, the Italian Ministry of Foreign Affairs, the Italian Institutes of Culture and Italian and foreign associations. The travelling exhibitions are an opportunity to export the prize and the image of Italy, as well as to promote the culture and quality of architecture in the world. The Chicago event has been organized with the support of the Inarcassa Foundation and takes place in conjunction with the presence of a delegation of about 40 architects and engineers attending the "2nd International Workshop", promoted by the Foundation. 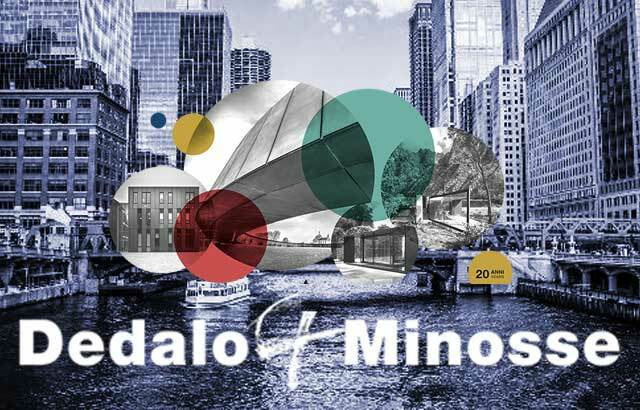 The Italian Cultural Institute of Chicago is proud to host the Chicago’s stage of Dedalo Minosse traveling exhibition, opening on October 24th to November 2nd (Monday to Friday, 10:00 am – 5:00 pm). 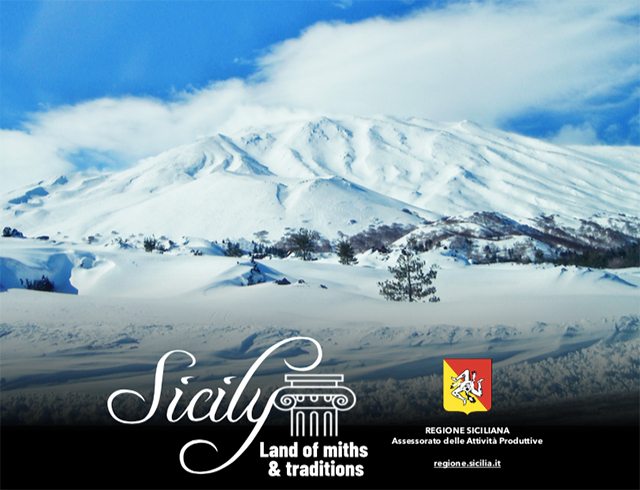 Tomorrow, October 2 at Villa Malfitano in Palermo, will be illustrated the Digital Agenda of Sicily. opening the conference the president, Nello Musumeci and the vice president of the Sicilian Region Gaetano Armao. The Centro Study Italia-Canada published today an article, in English, entitled "One year of ceta: the advantages for italy and the dispelled misgivings" by Paolo Quattrocchi, Director of the Centro Studi Italia-Canada, Equity Partner of Nctm Studio Legale, and vice-president of ICCCW and Francesca Paolucci, Coordinator of Research and Relations of the Centro Studi itself. 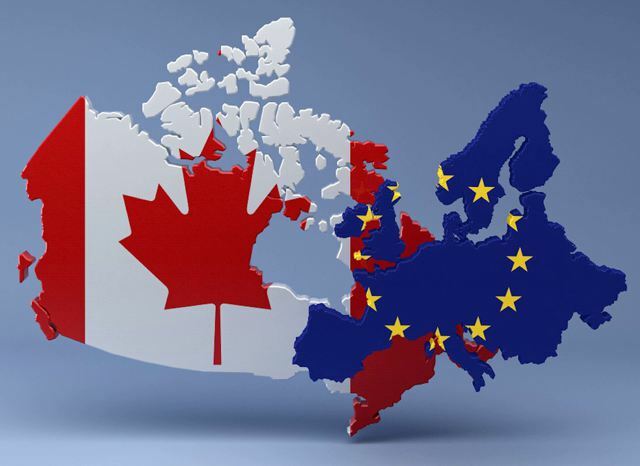 As reported in the article "The analysis of the updated data in July 2018 and collected from authoritative sources such as Statistics Canada and ICE-agency, confirmed the positive trend which was already disclosed in the last few months during the first 5 months of execution of the CETA (October 2017 - February 2018), with an increase in Italian exports of + 16.9%. In the first 7 months of the year, with reference to the same period of the previous year, there was an increase in European and Italian exports to Canada, respectively, with regard to European exports to Canada of +12.6% (for an increase of about $ 4 billion CAD), while for Italy it is + 10.4% (with an increase of about $ 365 million CAD). 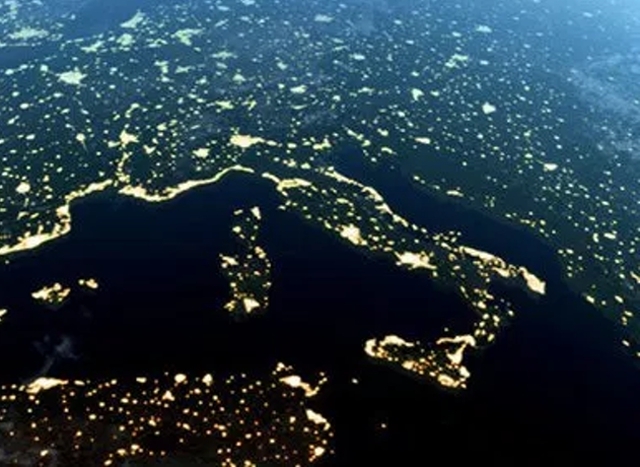 The data are encouraging also for the imports of European Union and Italy from Canada, with an increase of +23.6% to Europe and +39.2% to Italy. It should be noted that the percentage data, which is very positive for Canada, is explained by the Canadian disadvantage, in terms of absolute value, which was initially recorded compared to data on European and Italian exports. The following data will clarify the concept, the total value of Canadian exports to Italy from January to July 2018 is $ 1,892 billion CAD and the total value of Canadian imports from Italy in the same period is $ 3,858 billion CAD. (ISTAT). The desired ratification of the Agreement will therefore be able to bring benefits. But what may happen in case of a non-ratification? Omitting for a moment the analysis of the complex scenario that would occur (with all the uncertainties on the procedures to be adopted, their existence and the wounds inside the Union), the relations between Italy and Canada, have always been excellent, could deteriorate irremediable, negatively involving also those sectors in which the relationships are consolidated and advantageous. Survey buyitalianstyle.com on grandparents' day: 78% of grandparents are "tenderness", 60% "memory", 58% "availability"
On 2 October is the Grandparents' Day in Italy, an event institutionalized in 2005 and since then has become increasingly known, so much that 70% of citizens say they know it. An analysis of online research also shows that it is a festival that is growing in the attention of Italians (SEMrush data, September 2018): since 2015, the year of its establishment as a national holiday, it has grown by about 13% to 2017. But what are grandparents for Italians? Buyitalianstyle.com , one of the largest Italian e-commerce companies, specialized in personalized clothing and gadgets, and also the leading portal in Italy on the occasion of Grandparents' Day, tried to give an answer for its simple, surprising, witty and cheap gift ideas. In collaboration with AMC, they interviewed a panel of 500 customers aged 18 to 45 years (Cawi Method, July 2018, multiple answer), to better understand the values that are best associated with grandparents: 78% are mainly "tenderness", 60% are "memory", 58% are "availability". But there is also a 41% that associates them with the concept of "greater freedom". And for 29% also to "economic aid". That's why Grandparents' Day is becoming more and more popular. And that's also why buyitalianstyle.com 's proposals are so successful that, just like our grandparents, they perfectly express tenderness and sympathy. 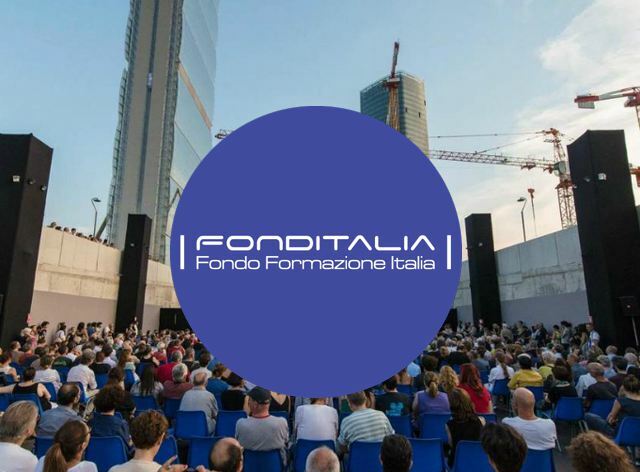 Fonditalia, this year again, supports the event "FuoriCinema" by Cristiana Capotondi, Cristiana Mainardi, Lionello Cerri, Gino and Michele, Gabriele Salvatores and Paolo Baldini. In CityLife, the heart of a renovated Milan, from September 14 to 16 in Piazza Tre Torri, artists from the world of cinema, music and entertainment meet their audiences with the moderation of journalists and presenters. In the backstage area of FuoriCinema there will be B2B meetings between operators from the world of entertainment and FondItalia to make known the opportunities that this institution can offer for the continuous training of workers in the audiovisual sector. “The funds are fed by the mandatory contribution for involuntary unemployment that employers pay to the INPS. By choosing to join a fund, companies have the possibility that 0.30% of the contribution paid will return in training actions aimed at qualifying and updating their employees, in line with their needs and business strategies. Unfortunately, however, not many companies in the sector are aware of this opportunity." Created by Cristiana Capotondi, Cristiana Mainardi, Lionello Cerri, Gino and Michele, Gabriele Salvatores and Paolo Baldini and produced by Fuoricinema Srl, Associazione Visione Milano, Corriere della Sera and CityLife, in collaboration with Sky, RTL 102.5, Mondadori Group, sponsored by the City of Milan, Fuoricinema is a non-stop marathon of daytime meetings and night-time films screenings, which arises from the desire to collect life experiences, aspirations and reflections developed around the world of cinema to put them into circulation as a common heritage. In the days following the event, further targeted meetings with associations in the sector will also be organised in order to illustrate the mechanisms that will enable targeted training projects to be financed. "Following repeated reports of negligence on the part of the registry offices of the municipalities to the requests of the Consulates I considered it necessary to write a letter to the President of ANCI (the National Association of Italian Municipalities), Antonio Decaro, requesting his intervention to put an end to the inefficiency to the detriment of Italians abroad. 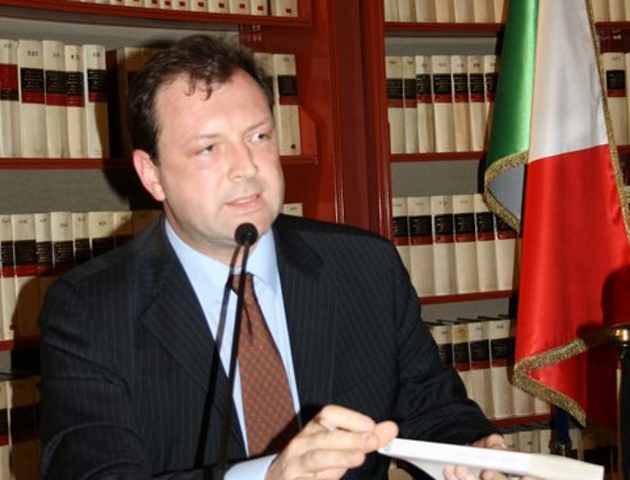 This was declared by Mr. Fucsia Nissoli Fitzgerald, deputy of Forza Italia elected in North and Central America. In Italy there are no up-to-date and credible data on errors in health care, not even reliable estimates. The statistics showing a decrease in claims do not include the increasing practice of self-recovery of health risk, i.e. the fund to compensate patients, which facilities set aside so as not to have to have recourse to insurance companies. The "medical errors" are a growing phenomenon in the U.S., but in Italy you can not have really reliable data, why? Currently, available estimates of health errors only include cases where there has been a complaint or claim by the patient or his relatives. All other events remain in the background, as health workers tend not to report adverse events spontaneously, very often for fear of repercussions. The main reason why it is very difficult to have exact data on medical errors, therefore, is that the errors reported in the statistics are significantly lower than those that actually occurred. Even in the U.S. the numbers of medical errors are rather controversial. For example, some studies speak of 100,000 deaths per year caused by errors in the United States (*), while others say that it is 251,000 deaths per year, so that medical errors would be the third leading cause of death in the country (*). These are hypothetical estimates and not actual data, also because the studies themselves show that less than 10% of medical errors are reported voluntarily (**). However, it would seem that error rates are significantly higher in the US than in other developed countries (such as Canada, Australia, Germany and the UK) (**). The latter figure could mean, in practice, only that in the U.S.A. there is a growing awareness of the extent of the phenomenon, and not that US doctors are worse than their Canadian, Australian, German or English colleagues. In your experience, can medical errors occur more frequently in public or private facilities? Insolvability is a cross-cutting phenomenon, so mistakes occur in both public and private structures. It is true, however, that some surgical procedures, especially on fragile patients or patients with important diseases, can lead to complications that are difficult to manage in a private facility. This means, from our professional experience, that private facilities may be more exposed to adverse health events. The report states that the responsibility for medical error, more than the individual, is often the responsibility of structure and organizational problems. So it's about lack of management in health care facilities? How can the problem be addressed? When we say that medical error is (almost) always due to an organizational failure, we want to emphasize that - except in exceptional cases of macroscopic individual responsibilities - even the errors of the individual have their roots in so-called "latent" systemic causes. The latter include, for example, outdated structural environments or machinery, lack of adequate clinical standards, low staff density, and poor organisation of workspaces or shifts. These are causes that arise very far from the patient (mostly from management decisions), and may remain unknown for a long time. Nevertheless, they provide fertile ground for individual error, which can have an immediate impact, even a very serious one, on the patients' health. Awareness of the possible causes of errors is a fundamental prerequisite for establishing appropriate countermeasures. Therefore, policies must be adopted to encourage the spontaneous reporting of adverse events, overcoming the traditional reluctance of health workers, often resistant to reporting mistakes for fear of punishment, disciplinary action, or even just damage to their reputation. In addition, the prevention strategy should include actions that directly affect the causes of the error, such as the spread of checklists and standard operating procedures, the creation of critical event reporting systems, the use of advanced computer systems for prescribing and managing the drug, trying to involve in this direction not only the management but all operational staff. Whenever a citizen feels that he or she has been the victim of medical error, what should he or she do to protect himself or herself as well as possible? The first thing to do is to try to understand whether what actually happened to the patient is a medical error. Then it is necessary to verify if this error is relevant for the law, that is if a damage has occurred for the patient and if this damage is causally connected to the error. When such preliminary investigations are successful, then we are dealing with a hypothesis of "medical malpractice", which can be managed from a legal point of view, favouring the path of claiming damages in civil proceedings, rather than the - much more difficult - one of complaint or complaint in criminal proceedings. 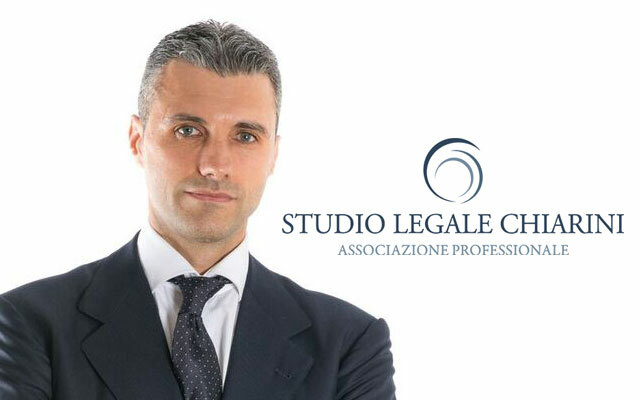 It is therefore necessary to quantify the exact damage, identify the legal entity that is required to compensate it, open the accident with the responsible Structure and with the Insurance Company, if any, and then manage it out of court and - if necessary - before the competent judicial authority. For all these activities, you should seek advice from a health liability attorney, who should be supported by a legal practitioner and a specialist in the discipline involved. (*) Rodziewicz TL, Hipskind JE, Medical Error Prevention, StatPearls [Internet]. Treasure Island (FL): StatPearls Publishing; 2018-2018 Mar 30. (**) Anderson JG, Abrahamson K, Your Health Care May Kill You: Medical Errors, Stud Health Technol Inform. 2017;234:13-17. 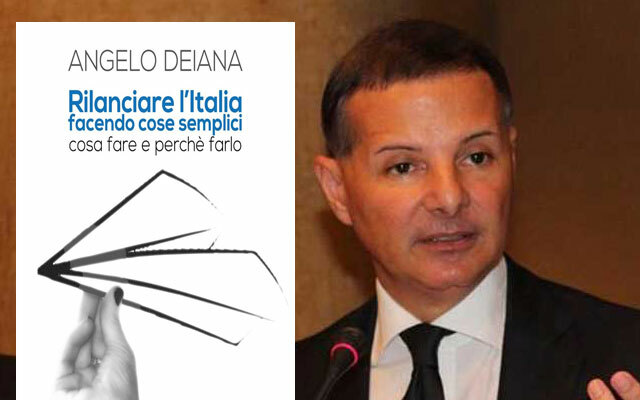 From today in italian bookstores is available “Rilanciare l’Italia facendo cose semplici” (Reviving Italy by doing simple things) published by Giacovelli Editore, my new book of simple, pragmatic and managerial solutions to the problems of the Country, written with the contribution of our entire CONFASSOCIAZIONI Organization. This was stated in a note by Angelo DEIANA, President of Confassociazioni. "A book on the future of our Country, a concrete and pragmatic book indeed - continued President Deiana - whose strategic theme is simple: Italy is a very strong country, but also a "Peter Pan" country, a narcissus country that flies, but would never want to grow in order not to lose that creative unconsciousness that is both its strength and its weakness. A country that has suffered a psychological trauma: the almost 10 years of crisis have vanished his "happy thought", whatever happened, allowed Italy to "fly just like Peter Pan". Among the topics covered in his work: the Euro, the real estate system, the Flat Tax, the APR of taxes, the illegal building, local taxation, the jungle of deductions, the Exit Agency, the era of replacing people with cars, the new global power of women, smart working, free wi-fi, the 'Mezzogiorno', the excessive cost of energy, smoking and gaming, the efficiency of civil justice, the National Public Prosecutor's Office for banking and financial crimes, the displacement of investee companies, the pension reform, tax and social security evasion. In a world where academic titles are losing their synonym for skills, Geeks Academy offers an alternative to increasingly outdated university education thanks to its practical approach and focus on transversal skills that, in addition to area-specific skills, help create professionals who not only master the necessary technologies, but also manage stress, solve problems creatively and expose ideas effectively. The idea for the Geeks Academy comes after a trip to the United States and years of labour market analysis. If once the Geek was the phenomenon that in the freakshow staged the most wacky number, in the current century his figure is increasingly positive. Digital Geeks, in fact, thanks to their computer skills are sought after and respected professionals, to the point that their being different has now stripped themselves of the scent of isolation that had in the past and has become synonymous with success and exclusivity. This is well known by Antonio Venece, founder of the school of geeks, the Italian network of digital training Geeks Academy, who chose to use this term as a flag for his dream to introduce young and old workers to the professions of the new millennium and, at the same time, insert computer sleeveless, until now confined to the four walls of home or without academic qualifications, in pathways to work. Geeks Academy has four specialization areas (Cybersecurity, Big Data, Coding and Gaming) with courses accessible to beginners. The student pool is incredibly varied in terms of age and background: there are new graduates, but also middle-aged system engineers who have decided to reinvent themselves, as well as philosophy graduates and professionals in the field of medicine. 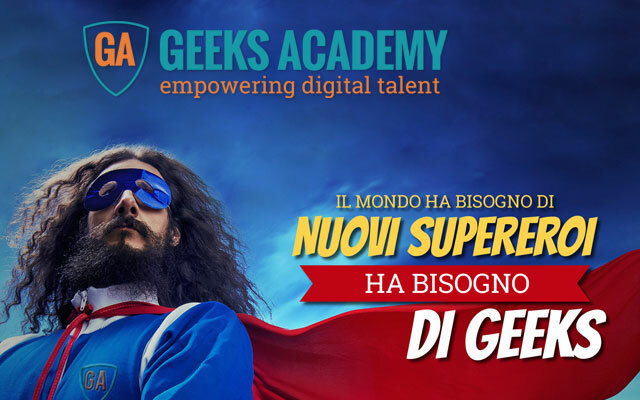 Open lessons are scheduled for next October in Sicily where the Geeks Academy will position itself for specialist training on cybernetic security and resilience. 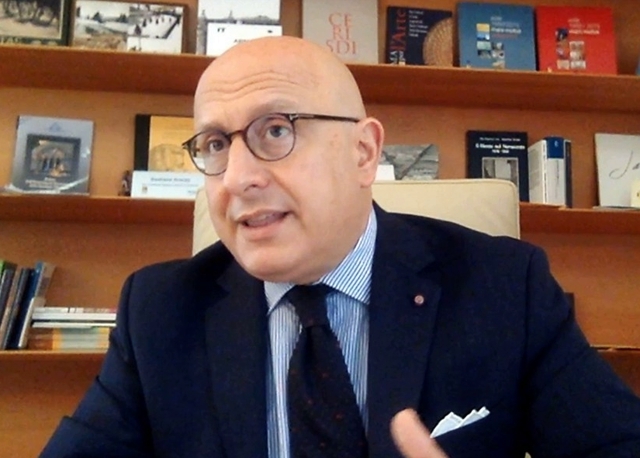 Domenico Colotta, a professional expert in the field of institutional relations, follows Carmelo Cutuli at the head of Assocomunicatori, the Italian National Association of Corporate Communicators. "First of all I would like to thank former President and founder of 'Assocommunicatori' Carmelo Cutuli and the board of directors. My commitment, with the contribution of all members, will be to strengthen relations with representatives of institutions and companies in the sector, with ideas and projects that can be a reference point for the world of communication. So declared the Association's new president Domenico Colotta. The former President Carmelo Cutuli, currently at the head of the confederal sector of Communication of Confassociazioni, wished Colotta and the new executive "to honor the ambitious objectives that Assocomunicatori has proposed, while ensuring, at the same time, its renewed commitment as a senior member of the board of the Association". The informal manager who used to wear the dark sweater, became the symbol of an era as it was the clock above the wristband of Gianni Agnelli. Global manager and "enlightened leader", said Fca president John Elkann, Sergio Marchionne is the man who changed Fiat bringing it into the future. A decisional manager, with a passion for Ferrari machines, purchased from his own pocket, and lyrical music, Marchionne in the 14 years in which he led the group tripled its revenues. 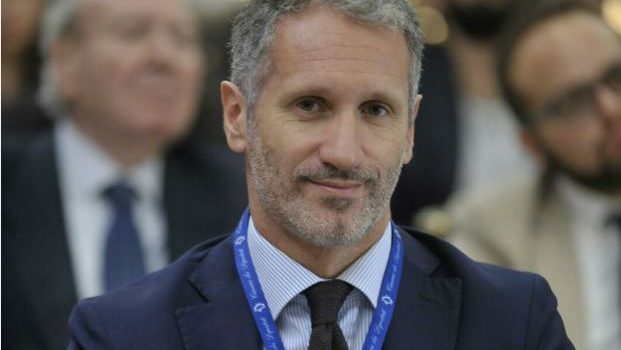 Despite the spotlight on his public life, the Italian-Canadian manager has managed to keep his private life strictly confidential, also thanks to the choice to keep his residence in Switzerland, where his family also lives. Born in Chieti, Marchionne is the son of a Carabinieri marshal and a young Istrian girl. After his adolescence in Abruzzo, he followed his family to Ontario, where a maternal aunt had already settled. In Canada Marchionne earned a Bachelor of Philosophy degree from the University of Toronto, followed by a Bachelor of Law degree from Osgoode Hall Law School of York University and then a Master of Business Administration from the University of Windsor. After working as a legal attorney, Marchionne joined Deloitte Touche in 1983 as a chartered accountant and tax expert, the first step in a career that in 2000 led him to Switzerland as CEO of the Lonza Group, active in the field of products for the pharmaceutical and healthcare industries. 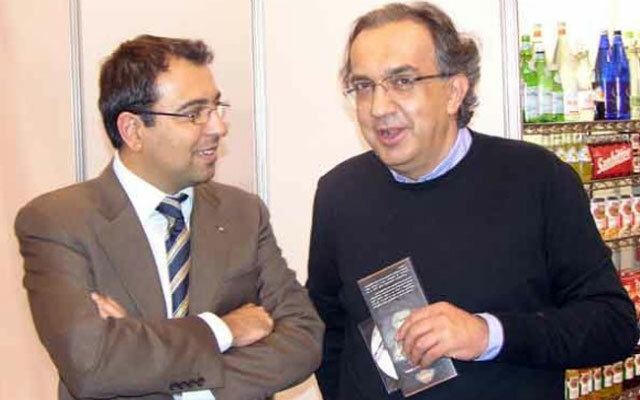 After entering the Lingotto board of directors in 2003 by designation of Umberto Agnelli, after the latter's death, Marchionne was appointed CEO of the group on 1 June 2004. At his side the president Luca Cordero di Montezemolo and the vice-president John Elkann, at the time just twenty-eight years old. In 2009 Marchionne performed his managerial miracle: in an America bent by the financial crisis, Fiat obtained from the Obama Administration 20% of Chrysler, one of the 'Big Three' of US motoring, which, after the failure of its alliance with Daimler, had practically failed. To convince Washington, in addition to the personality of Marchionne, the experience and guarantees offered by Fiat on new formulas of 'green' mobility. This was the first step in a process that will lead the people of Turin to 100% control of Chrysler in 2014. It was the birth of Fiat Chrysler Automobiles and some major operations such as the relaunch of Jeep, which has become the jewel in the crown of Fca, passing through the rebirth of Maserati and the bet on a 'premium' Alfa Romeo. 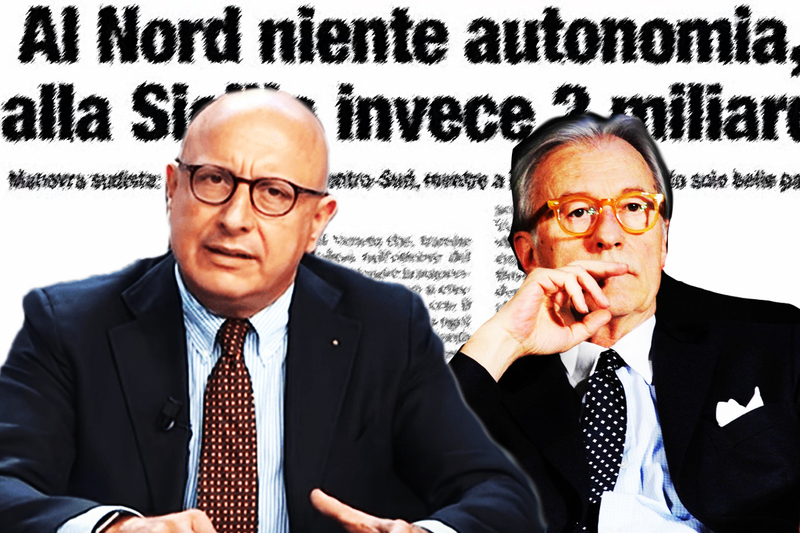 In the last five years tens of thousands of new businesses have been created that operate in dermopigmentation: "Our sector does not have a specific recognition at the Italian Chambers of Commerce and therefore all those who were not satisfied with the only category of " aesthetician " have had to register their business as " tattooists ". By examining the data, in 2013 in Italy there were about 1,500 tattoo companies operating in the tattoo sector, while in 2017 these became as many as 600,000. And a significant part of this " explosion " is to be attributed to the dermopigmentists”. But it is precisely from this extraordinary success that a necessity has arisen that should not be underestimated, and that is the fundamental growth of specialization in a sector that, being halfway between the aesthetic and medical spheres, can in no way be entrusted to impromptu operators. SKING (www.sking.events) , the Italian championship for specialists in permanent makeup, last year gathered and promoted the best Italian dermopigmentists: "Women who turn to the dermopigmentist," confirm the organizers, "especially ask for eyebrows with regard to permanent makeup, while men require us especially the "shaved" effect, which is a surprising solution to the aesthetic problem of baldness. But there are also cases in which we are approached for a "paramedical" intervention, for example for the reconstruction of the mammary halo in cases of mastectomy, an intervention particularly important for the psychological aspects it involves”. On October 13 in Rome will take place the National Championship of permanent makeup promoted by A.I.DER. (Italian Association of Dermopigmentists) during which the most daring Italian operators will compete in the realization of a realistic eyebrow treatment and will compete for the title of national champion. At the same time, in a 'dedicated area, all operators waiting to play the race and dermopigmentists who want to devote themselves to their training and learn new techniques, will attend live shows, live demonstrations of innovative treatments presented by international guests that will bring prestige to the event. In the evening, then, all those who want to celebrate the world of Italian dermopigmentation, will celebrate during the PMU dinner party, the most exclusive party ever! Between toasts, dances and live performances will arrive at the time of the award ceremony that will decide the winners of the national championship.